It’s usually the bride’s engagement or wedding ring that gets all the attention, but at Sally & Paul’s recent wedding there was something very special about both their wedding bands. 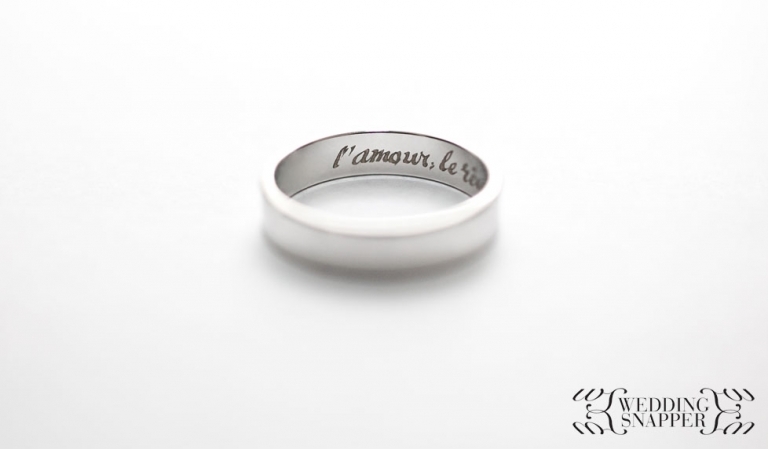 With the ring on the finger you wouldn’t notice anything but, inscribed on the insides of each ring were a few words, special to the couple. I’ve seen it a few times now at Melbourne weddings, and I think it really adds something to the ring without creating a distraction. The wedding date is also becoming a popular inscription to use. Looking for a relaxed and affordable wedding photographer in Melbourne? Look no further! Pick up the dog and bone and dial 0450 586 561 or drop me a line here.